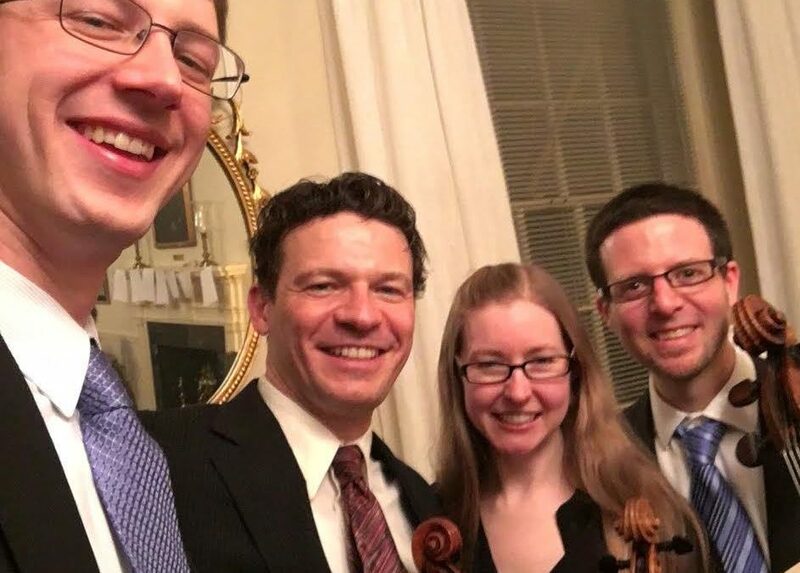 Haydn’s well known “Quinten” quartet opens the program with its dramatic themes and supple rhythmic interplay followed by Debussy’s sensual and impressionistic quartet, a final divorce from the rules of classical harmony. The concert concludes with Mendelssohn’s final quartet, originally called “Requiem for Fanny,” written after the death of his beloved sister. It plumbs the depths of somber feelings contrasted with beautiful lyricism – a beautiful balance of despair and happiness. The Clipper Mill String Quartet is composed of three members of the Baltimore Symphony Orchestra’s string sections. The fourth is a regular BSO cello section substitute, member of the Peabody Prep faculty, and orchestra conductor.